Holi 2019 is here! Here is how you can create, download and send WhatsApp Holi stickers to your loved ones. Holi 2019 is here! The festival of colour marks the begining of new season and brings joy for millions. Over the years, the festival has been celebrated by playing with colours. But, things have changed in the digital age. Now, Holi isn't just about colours. It is also about the unique WhatsApp messages, funny videos and cute GIFs. Add to that the most recently introduced WhatsApp stickers too. The instant messaging platform is the most popular social media platform to send Holi greetings as Holi SMSes, texts, images, GIFs and now Stickers. The feature was introduced last year by the Facebook-owned company and has become highly popular among users. How to download WhatsApp Holi Stickers? For Holi, WhatsApp has many stickers can be sent to your loved ones. Even though these stickers are not present in the app like the Diwali pack that was introduced by WhatsApp last year, they can be downloaded from Google Play Store. How to send WhatsApp Holi Stickers? - Open the sticker app and tap on share. - The list of stickers will open. Tap on ‘Add to WhatsApp’. - Open WhatsApp and go to the chat window. - Navigate to sticker option from emoji tray. - The newly added stickers will appear. Click to send. Latest WhatsApp Holi stickers: WhatsApp offers dedicated Holi-themed sticker packs for users to share on the platform. First open a chat on WhatsApp, and tap on the text bar. Tap on the emoji button and select the third icon for stickers. Once the sticker tab is open, tap on the plus button, scroll down and select the “Get more stickers” option. You will be redirected to Play Store with a list of sticker packs. 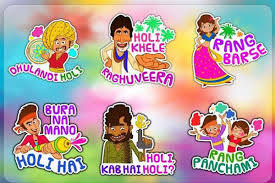 Search for Holi “WAStickerApp” to get the sticker packs. 1. Go to the Google Play Store and search for ‘Sticker maker for WhatsApp’ app. 2. Download the app and run it on your smartphone. 3. Top on “Create a new sticker pack” option. 4. Enter the sticker pack’s name and author. This is just for descriptive purposes and your customised stickers won’t be accessible to other WhatsApp users. 5. Tap on the new list option and a page will open with empty stickers tray. 6. First, add the stickers pack’s icon and then tap on the next tray to add a new customised sticker. 7. Tap on the empty tray to add a new sticker and you will be asked to either take a new photo or import one from your gallery. 8. 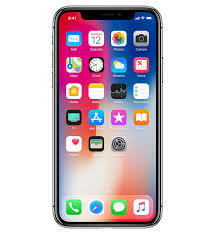 After you select the photo, it will be uploaded on an image editor. 9. Crop the image with your fingertip, based on what you need from that picture for a new sticker. 10. Now, save the image and repeat these steps to add more custom stickers to the pack. 11. Once you are finished with adding stickers to the pack, tap on the Publish Sticker Pack option. 12. You will be asked to add these stickers to your WhatsApp app, accept and head to the WhatsApp app to enjoy these new custom stickers. South Korean tech giant Samsung will soon be launching its tenth anniversary edition Galaxy S10 smartphones in February. Tipped to launch at the Samsung Unpacked event in February, the company will unveil the whole S10 lineup at the event. The Italian pricing of Samsung Galaxy S10 variants has been leaked. There are going to be three models under the new series. 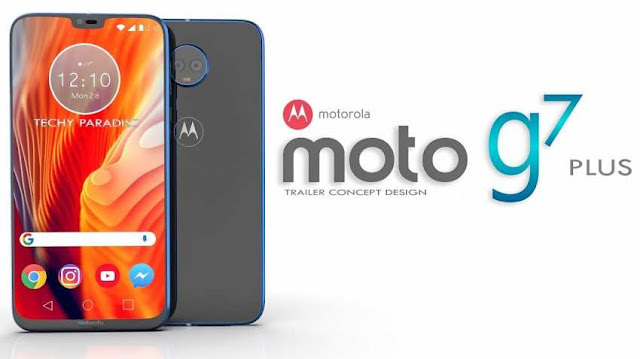 The affordable variant of the series will be called Samsung Galaxy S10 Lite and there will two other standard S10 models: Samsung Galaxy S10 and Galaxy S10 Plus. But the latest report says that the affordable variant will pack in a side-mounted fingerprint sensor. But the other two standard Galaxy S10 models will feature in-screen sensors. The company is also expected to launch a 5G variant later during the second quarter, which is reportedly expected to be called the Samsung Galaxy S10 X of Galaxy S10 5G. Like recently launched punch-hole display smartphones, the Galaxy S10 smartphones too will feature holes for selfie cameras. Termed as Infinity-O design, these displays will come with punch holes. Though, Samsung Galaxy S10 Plus will pack a dual front camera setup, expected to feature two holes. Users in India will probably be able to buy Galaxy S10 smartphones in India from March or early April. Samsung has already confirmed that it will host a press event on February 20 to announce all its new tenth anniversary Galaxy S10 smartphones. The affordable variant will be called the Samsung Galaxy S10 Lite with two other standard S10 models: Samsung Galaxy S10 and Galaxy S10 Plus. The colour variants confirmed till now are Green, Blue, Navy, Yellow and White. 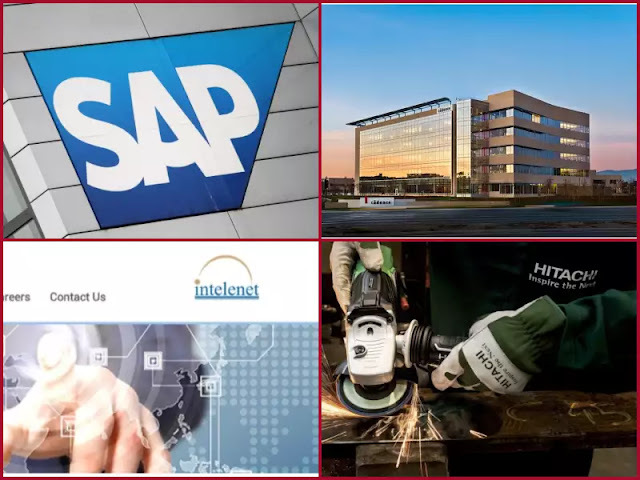 SAP Labs was ranked the number one company on the list. The company has one of the better empowerment programs and policies. At Intuit India, employees are known to get flexible work options, wellness benefits, parental along with great facilities. Adobe claims to take a lot of pride in employee diversity. It also holds training exercises and events for its woman employees. It is also known to offer significant health and education benefits. The company which has installed more than 1.2 lakh telecom towers across the country is placed at number 11 on the list of top 100 companies. Vodafone, according to the report, has several initiatives running to reward employees. Based out of Noida, this software firm has supportive work culture. It also offers higher education benefits to its employees. Growth prospects and innovative training programmes are among the key reasons why this company finds a place on the list. Considered to be an employee friendly place, Paypal also offers better growth opportunities. Based out of Pune, this technology centre provides a global working environment and offers people-friendly policies. Known to offer innovative HR policies that are designed according to the diverse needs of the employees. A company that makes employees its ‘ambassadors through its Extended Employee Referral programme. Known to get regular feedback in improving work environment for the employees. A better work-life balance and a conducive work environment are among some of the benefits that the company offers. Not only for its employees, Atria Convergence also has programmes for their children. For a healthy work environment, this company has something called Ohana culture. Under this, employees are responsible for each other and it promotes a motivational culture. Benefits offered by this firm include assistance in child education and extended paternity leave. People-friendly policies along with a lot of other benefits brings this company on this list. This company focuses on creating perfect work-life balance for its employees. A company that is known for following people-centric culture and offering growth opportunities. Organic meals, concierge services, commuting facilites and wellness programmes are amongst the top benefits offered by the company. Like many other companies on the list, creating work-life balance is a key reason that merits Ericsson India a place on the list. Tata Group is known to be one of the better places to work with. Tata Communications is one of the companies that is part of the group. HP India is also known to be one of the best companies that offers several benefits among other things to its employees. Technology solutions and IoT aren’t the only thing this consultancy firm offers as it is considered one of the best companies to work in India. Infostretch finds the 98th spot in the list. Intelenet is a global business process outsourcing firm.